Every pregnancy is unique—with no “right way” to make the journey to parenthood. 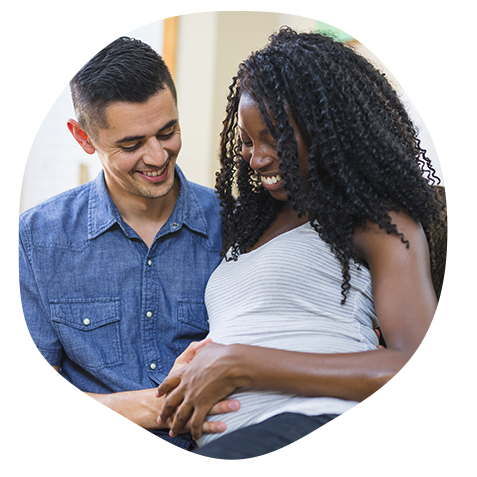 Lamaze serves as a trusted resource. We welcome and respect all individuals and families from every corner of the world. Our goal is simple: We want you to feel confident, supported and powerful as you ask questions, make decisions, and navigate your path through pregnancy, birth and parenthood. Turns head, lifts chin, and, by three months, lifts head. Large motor movement of arms and legs. Stares at bright objects and follows them with eyes. Prefers to gaze at patterns rather than plain surfaces. Turns head towards source of sound. Smiles at faces and at objects that resemble faces. Discovers feet and hands and is fascinated by them. Begins to sit with support. Vision fixates on small objects. Responds to high-pitched sounds and begins to make babble sounds. Sits unaided for brief periods of time. Recognizes familiar people and likes attention. Reaches for objects with both hands. Plays with sounds and responds to noises and speech. Picks up objects with thumb and forefinger. May begin to creep, crawl and attempt to kneel and stand. Seeks to understand cause and consequences of actions. Begins to stand and to climb onto furniture and onto stairs. Favors use of one hand and tries to feed self. Understands words in context and starts to use one or two words. Imitates actions of others; uses gestures to convey language. Enjoys picture books and plays with simple toys. Engages in simple make-believe and imitative play. Becoming more aware of and curious about the world around them. Uses simple words; may link two words together. 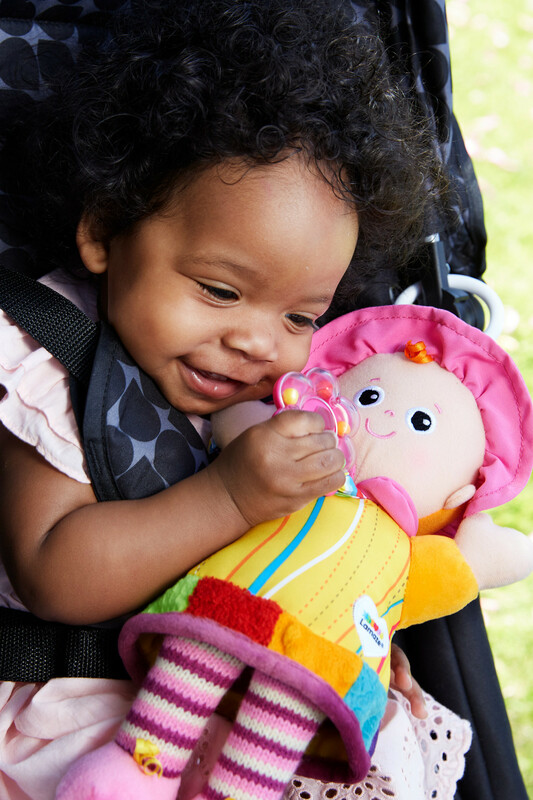 Find Lamaze toys to play with your baby as they go through all these important milestones. 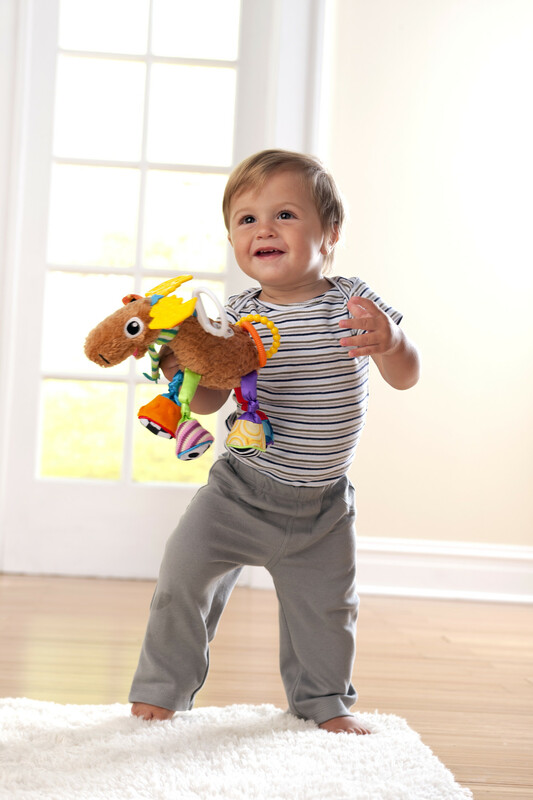 Lamaze toys are designed with input from a team of experts in child development, pediatrics and child psychology to ensure they are engaging, age appropriate and fun for your child. Each purchase supports Lamaze International and a healthy start for moms and babies. Find Lamaze toys at www.amazon.com/lamaze.